In 1925, several brave teams of dogs and their sled-driving owners did a relay traverse of nearly 700 miles in the thick of an Alaskan winter to deliver life-saving diphtheria serum to Nome. One dog led two legs over treacherous ice, but it was the leader of the last leg who came away as the hero. 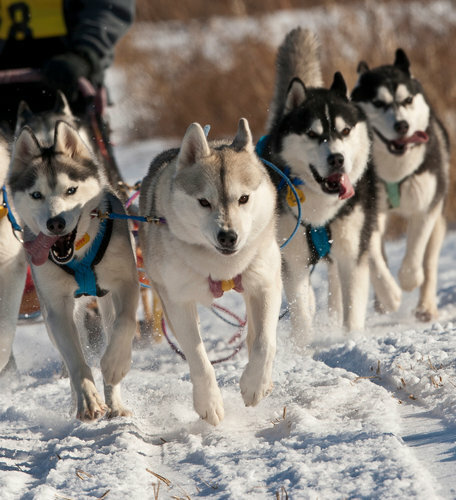 Read the true story of the Siberian huskies named Togo and Balto and how their race across the arctic inspired Americans to breed Siberian huskies, which now not only compete in races but at the Westminster Dog Show too. This entry was posted on Monday, February 13th, 2012 at 10:11 AM. It is filed under Blog. You can follow any responses to this entry through the RSS 2.0 feed.